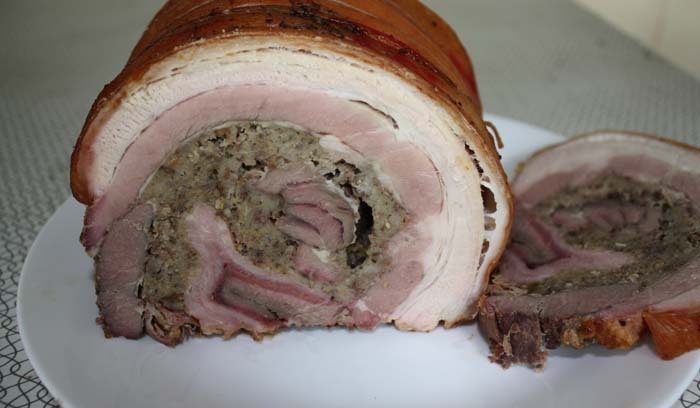 The Christmas turducken was a success and I particularly enjoyed the mixing of flavours from the turkey, duck, chicken and quail. 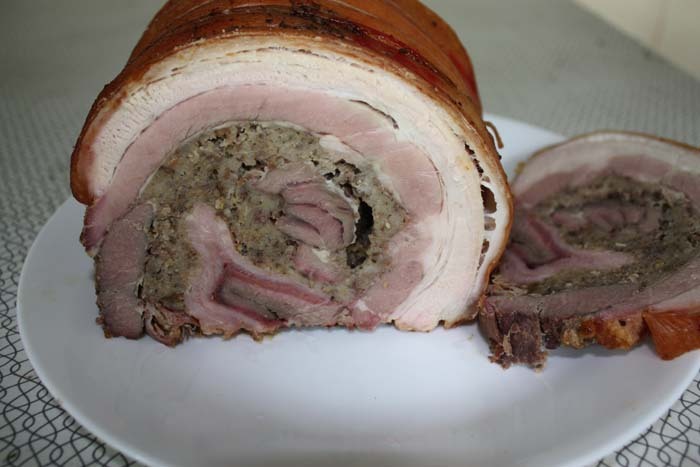 It got me thinking, why not try it with other meats, so that was this weekend’s project, a boneless, rolled, stuffed roast of pork, lamb and beef. 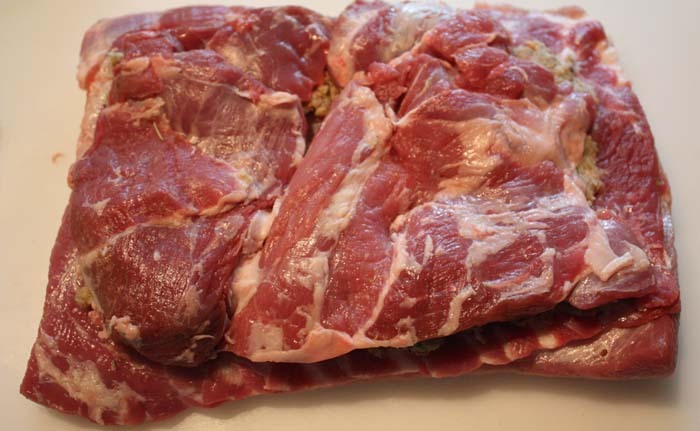 During the week I bought a small leg of lamb and some pork belly. 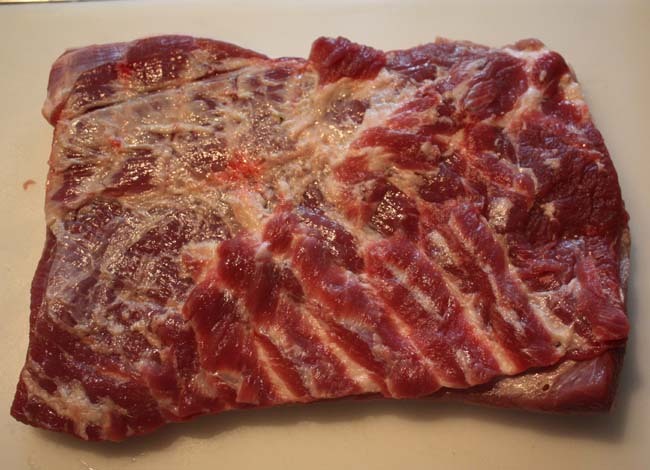 I removed the bones from the pork belly and layed it out skin side down. 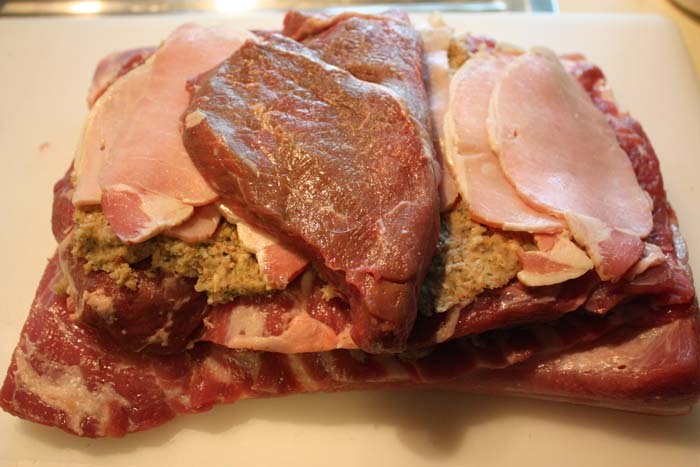 I then boned and skinned the leg of lamb and layed it on top with a little stuffing between the layers. At this stage I was obviously running out of room, so I limited the beef to a couple of small steaks, added some bacon and more stuffing, and it was ready to roll. 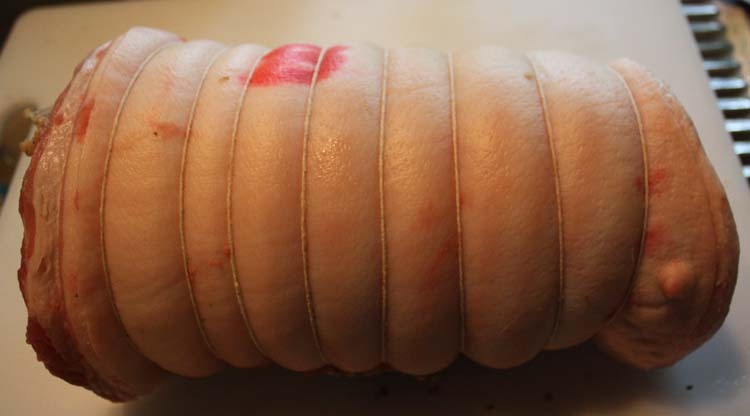 This pork belly was the only one the butcher had, and was smaller than I wanted, so rolling the roast was a problem, and the pork didn’t quite go right around, but still looked good once I tied it up. 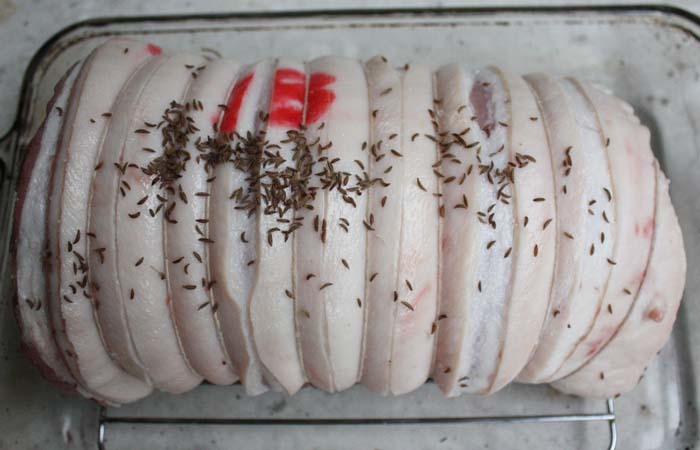 I then sliced the pork skin, rubbed it with macadamia oil and salt, then sprinkled carroway seeds over it, and it was ready for the oven. And after about four hours at 180°c the roast was ready and looking good. And to eat? The flavour combinations of these meats was amazing, so much better than each on their own. The meat was moist and tender and the pork crackling crispy and full of flavour. And of course, with no bones, this roast is a pleasure to carve and serve. 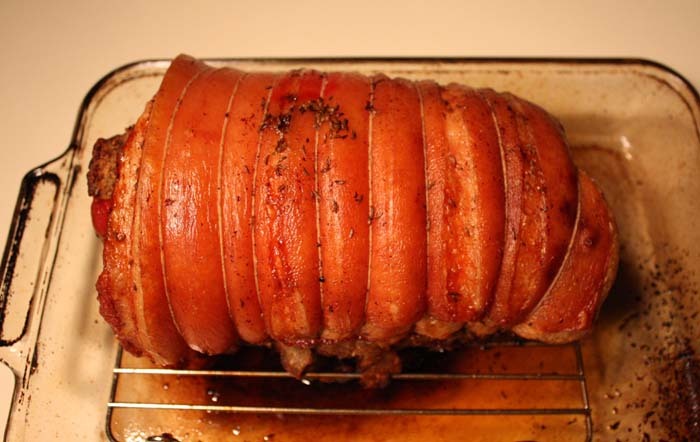 An all round beautiful roast that I highly recommend and will most definately do again. And a lot less preparation than a turducken.